This article contains the stats, strategy, and guide for Heracles. WE WILL UPDATE THIS AS SOON AS THE GAME COMES OUT. Heracles is the son of Zeus and Hera in Greek Mythology. 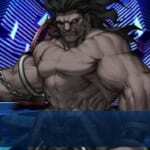 In Fate Grand Order [FGO], when summoned, Heracles emerges as a Berserker class hero. 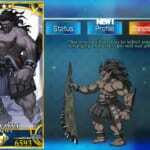 Heracles appears in Fate/ Grand Order as a Berserker class servant. He also goes by the name Berserker (Fate/ Stay Night) and serves the magus of the Von Einzbern family, Ilya. As one of the most powerful Berserkers, Heracles continues to be feared and awed even after his death. Low defense but extremely high damage that allows players to kill defensive enemies in a single turn at level 1. Use his Buster Card at an end of a combo to exploit Buster Card Performance increase plus his increased base attack. This works well with Buster Performance improving cards such as the Crimson Black Keys, the Verdant Sound of Destruction, and etc. He works well with Mash Kyrielight as her defensive skills can keep him alive. She has Wall of Brittle Snowflake and Wall of Fuming Chalk which lengthens his duration in battle. 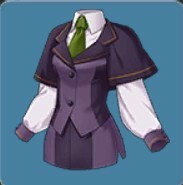 An additional asset to their combo is her Lord Chaldeas. 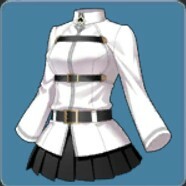 This assumes however that Mash Kyrielight has a NP-Charging build. Together with the Chaldea Mystic Code, it allows him to survive battles longer. 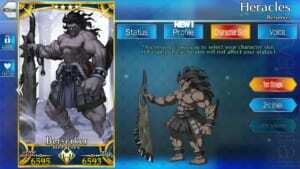 Upon Ascension, Heracles will gain a new skill which will increase his sustainability in battle. This makes him a good pair with Cu Chulainn (Lancer) who also has his own sustainability and high damage output. 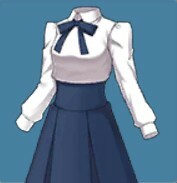 Together, they can deal heavy damage especially with Cu Chulainn (Lancer) adding Critical Hit Power. 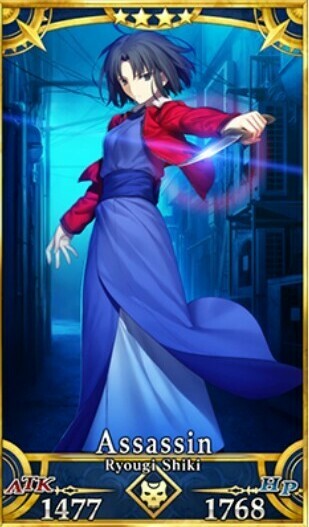 Altria Pendragon (Saber) can increase his attack, making his attacks more devastating against boss enemies. Zhuge Liang‘s ability to reduce defense and stun them for a turn using his Noble Phantasm (NP) will allow Heracles to maximize his damage. Using this craft essence, this effect stacks well with Heracles’ passive skill – Madness Enhancement. 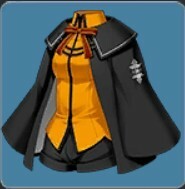 This allows him to deal more damage than any servant. When paired with Valour and Instant Enhancement from Chaldea Mystic Code, Heracles can deal as much as 10000 damage per chain of cards. However, this assumes that he performs a Brave Chain. On single or double attacks, depending on his level, his attack will leave at least 5000 damage on average. Unfortunately, this makes him quite soft which requires him to either pair with a defensive servant such as Mash Kyrielight or Georgios. This may serve as a cheaper version of Verdant Sound of Destruction, allowing him to still deal damage but not as powerful as the former. 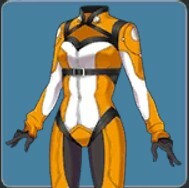 Madness Enhancement B Heightens damage of unit’s Buster Cards by 8%. Divinity A Heightens damage by 200. 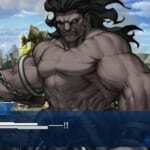 If you’re looking for Heracles’s Interlude Quest, click here. 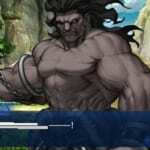 If you’re looking for Heracles’s Interlude Quest 2, click here. Valor A+ 3 7 Heightens self’s Atk. 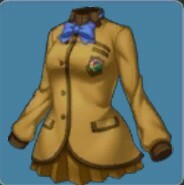 Raises self’s mental debuff resistance. Mind’s Eye (False) B 3 8 Applies self evasion for 1 turn. Battle Continuation A 5 9 Applies self guts status. Deals significant damage to a single enemy. Decreases enemy defense for 3 turns. Heracles or Hercules – both names refer to the same demi-god hero who earned his right for godhood. Hercules’ story begins when Zeus decides to impregnate a mortal woman named Alcmene. Much to the displeasure of Hera, Zeus named the child he had with Alcmene – “Heracles” which also meant “glory of Hera”. She then attempted to kill him by sending two serpents to tear at him only for him to sit up strangle the two serpents with his bare hands. As he grew up, it became more obvious that he was not the son of two mortals. He had superhuman strength and proved to be capable of slaughtering even the fiercest of creatures. Unfortunately, along with his strength, his temper also soon became a well-known thing. While his father, Amphitryon, tried to get him into the arts, Heracles hated it. The hero proved to be better at sports and even accidentally killed his mentor out of fury. However, his time to shine came when a group of warriors known as Minyans took over the neighboring city. Gathering a group of Theban warriors, Heracles then chased them out of the city and restored King Creon to the throne. In return, King Creon gave Megara’s hand in marriage to Heracles. Soon, Hercules and Megara were soon married. Unfortunately, this bliss did not last long. Heracles suddenly broke into insanity, influenced by Hera. As insanity took hold of him, Heracles slew everyone in the area including his wife and children. Before he could kill his father however, Athena snapped him out of his insanity. Realizing what he had done, Heracles prepared to commit suicide. However, his friend instead said for him to go into exile. As the hero went into exile, then started what people knew as Heracles’ 12 Labors or commonly – “The Labours of Hercules”. These labours were meant to help him atone for his sins and consisted of a majority of tasks. When he completed his tasks, he soon ascended and took his place among the gods.